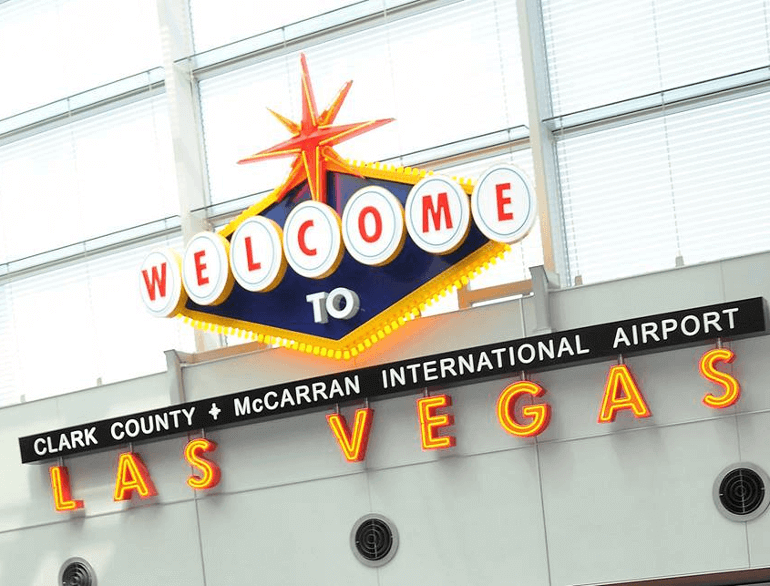 From Short Term to Valet, McCarran International Airport has more than 17,000 public parking spaces offering a variety of choices to meet your needs. Learn which option is best for you. Parking facilities are open 24 hours a day, seven days a week, 365 days a year.Parking in the garages is subject to availability. Reservations for parking are not available. During the summer and other peak travel periods such as holidays, the Terminal 1 Long Term garage may fill to capacity. Customers will be re-directed to the Terminal 1 Economy Lot. Courtesy shuttle service is available to take you to Terminal 1. For any administrative or Automated Vehicle Identification (AVI) related issues, our office staff are available Mon-Fri from 7:30 AM – 3:30 PM, excluding County holidays. We accept cash, debit cards, all major credit cards, traveler’s checks, cashier’s checks, or money orders. We can help you compare car parks and assist you in booking an outdoor car park of your choice.